Dr Wekesa is not only an experienced private practitioner of law but also an accomplished legal scholar. Dr Wekesa is part of the team in the firm that conducts legal, regulatory and compliance audits. He also offers consultancy services on various areas of law and conducts training on general commercial and corporates matters. He is also trained as a Certified Public Secretary and offers company secretarial services to an array of clients. 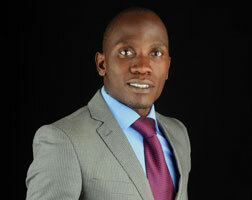 He is currently a lecturer of law at the University of Nairobi, School of Law. He holds a Doctor of Laws (LL.D) from the University of Pretoria, South Africa. He also holds a Master of Laws in Human Rights and Democratization in Africa from the University of Pretoria. He also holds a Master of Laws in Commercial and Financial Services Law from University of Nairobi. He is both a DAAD scholar and a scholar of the European Union. Dr. Wekesa has previously taught Law of Torts, Law of Contracts, Legal Systems, Social Foundations of Law, Commercial Law, Jurisprudence, Law of Business Associations, Public International Law, Equity and Trusts and Labour Law at Moi University, School of Law. He teaches Administrative Law, Law, Democracy and Governance, Land Use Law, Devolution Law and Gender and the Law at undergraduate level and NGO and the Law at postgraduate level at the University of Nairobi, School of Law. He has published in the areas of devolution and human rights. He has worked with government and UNHCR on refugee matters as a Refugee Status Determination officer (RSD). His areas of scholastic interest are constitutional law, administrative law, human rights law, equality law, gender law, children law, devolution, commercial law, financial services law, banking law and capital markets and securities regulation law. Constitutional law, administrative law, international human rights law, equality law, gender law, children law, devolution, commercial law, financial services law, banking law and capital markets and securities regulation law. DAAD (German Academic Exchange Service) Scholar, 2012. Admitted as an Advocate of the High Court of Kenya, 2013. Diploma in Law, Kenya School of Law, 2009. LL.B (Bachelor of Laws) (1st Class Hons.) – University of Nairobi, 2008. Institute of Certified Public Secretaries of Kenya. Associate, Munyao Muthama & Kashindi Advocates, Nairobi (2016). Lecturer, University of Nairobi, School of Law, Parklands Campus (2015). Trainer, Training & Consulting Associates (TCA). (2016). Visiting Researcher/Lecturer, Centre for Human Rights, University of Pretoria, South Africa, 2015 – to date. Lecturer, Moi University, School of Law, Eldoret – Jan 2013 – Dec 2015. Research Assistant & Tutorial Fellow, School of Law, University of Western Cape, South Africa – July – December 2012. Assistant Refugees Status Determination (RSD) Officer, United Nations High Commission for Refugees (UNHCR), 2010 – 2011. “The human right to clean and safe water under the Kenya’s new Constitution 2010” published in the Economic and Social Rights (ESR) Review of the University of the Western Cape, South Africa (June 2013). County government and rights of marginalised ethnic minorities in Kenya: Evaluating the potential benefits and challenges, S.M Wekesa, Scholars’ Press Berlin (August 2013). “Legal research methods: An interdisciplinary approach” Riara University, Riara Law School 12th July 2013. “The right to education: A tool for transformative education in Kenya” Riara University, Riara Law School 20th August 2013. “The rights of sexual minorities in Kenya: The value of the Constitution of Kenya 2010” Centre for Human Rights, University of Pretoria, South Africa 10th December 2014. Dr Wekesa is part of the team that has successfully conducted legal, compliance and regulatory audits of a number of blue chip companies, leading corporates, parastatals and other government entities including Safaricom Limited, Post Bank, Kenya Electricity Generating Company (KenGen), National Hospital Insurance Fund (NHIF), Technical University of Mombasa (TUM), Kenya Literature Bureau (KLB), Institute of Certified Public Accountants (ICPAK), Higher Education Loans Board (HELB) among others.